2014 December 13th, Ingress’s biggest event in history called ‘Darsana’ was held in Tokyo. It was also my first time to join this kind of big Ingress event. So many experience got, so many friends made, so many beautiful memories impressed. The preworks has been done for the day Darsana held before one month. Pure Green Clothes, Enlightened logo helmet, level up to 9, high level XMPs, Resonators, Mods, Power Cubes…. Back to Darsana Tokyo, it really filled like a War. The captains of each teams had several times of meetings for War plan. On Darsana day morning, from a secret bag, captain told us the plan and member arrangement. So many players(agents) came, none of us expected that. Frankly speaking, one Team only have to hold 3-4 Portals in one count area, at the same time, we could almost reach all of them. Hard to explain the rules during the war time. The opening ceremony was held at Hibiya Park outdoor concert. It can hold 5000 people. At the gate of the concert ground, Resistance went to left, and Enlightened to right. Over 5000 players has attended the event, count with add-on players, maybe 6000 people came for Darsana. Not only japanese came for the event, players came from different countries, like Taiwan, Hong Kong, Philippine ect. 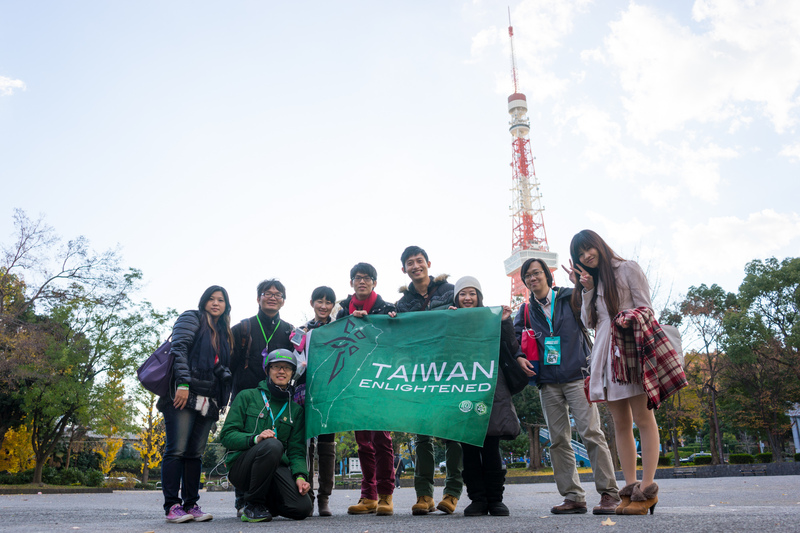 I joined in International Team Taiwan Group, do some translations and of course easy to communicate with Chinese. Because of the amount ratio of the Enlightened to Resistance was about 3:7, Enlightened players just know, except the Game, more enjoyable fun is necessary. DIY bagets for Darsana only. A pair of hand band from Hong Kong Enlightened. Very nice quality! Google vice President and Boss of Niantic Labs, John Hanke, came to Tokyo and took a photo a photo with us. Captain(left), Hong Kong group and Philippine player. After the all member photo was taken, Darsana formally Started. After a fast lunch, from 14:00, the Wat Time! Checked the watch time, two mobile devices, one for Ingress of course, another one for team radio. No photo for War Time, too busy to push the phone screen. An All-japan control field was made by Enlightened just at the beginning of the war, and it last so long that held until the end! So exciting with that and got the hope to Win! After Party was at Shibuya, for relax time and publish the final results. And…. Tokyo is captured by…. Enlightened!! !